The latest Chinese Outbound Real Estate Investment Report reveals that interest from Chinese investors remains strong in global gateway locations. China’s capital outflow control has been a push factor so far, but it could prove to be a double-edged sword. Stringent requirements have made it difficult for some investors to secure foreign exchange clearance. According to Knight Frank’s Head of Research and Consulting, Australia Mr Matt Whitby, “The volume of Chinese investment in Australia is down considerably year-on- year because of a lack of mega-deals in the first half, as large deals such as the Investa portfolio dragged the 2015 number higher. 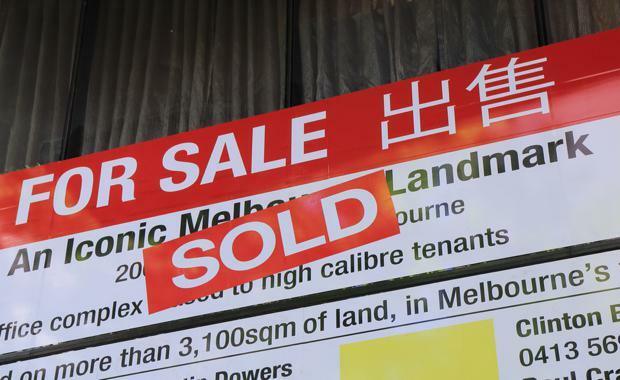 “Amid competition from other Asian buyers, however, there is a strong Chinese appetite for en-block commercial properties in both Sydney and Melbourne, attracted by rental growth supported by strong tenant demand and a supply shortage,” said Mr Whitby. Chinese capital outflow continued strongly in H1 2016, with a total of US$10.7 billion invested. Although showing a 13.6% drop compared to H1 2015 this should be considered in the context of some of the biggest real estate deals in Chinese outbound investment history early last year, such as the US$1.9 billion purchase of New York’s Waldorf Astoria Hotel. While overall investment is somewhat softening, we saw strong growth of Chinese capital inflow in a number of key gateway cities. In Australia, with the absence of mega-deals such as last year’s CIC’s record breaking purchase at US$1.8bn for an office portfolio, the volume of office deals dropped 65% and hotel deals dropped 42% YoY. Investment in development sites stabilised. Nonetheless, Chinese and other Asian capital remain drawn mainly to Sydney and Melbourne’s office markets given their short supply and rental growth prospects. One important observation is that Chinese developers are now looking to diversify into income producing properties. In Australia, Chinese investors and developers spent US$1.7bn in Australia in 1H 2016 – a 37% decline year-on- year. With the absence of mega deals, such as CIC’s record-breaking purchase at US$1.8bn for an office portfolio (AUD2.45bn), the volume of office deals dropped 65% and hotel deals dropped 42% year-on- year. Meanwhile, investment in development sites stabilised. Chinese outbound investment as a whole was gaining momentum as we crossed the half-year mark, with the biggest push coming from the Chinese economy itself. Global gateway locations have seen undiminished interest from Chinese investors, helped by favourable local market conditions like market depth, rental growth prospects, and in the case of London, a cheaper UK pound. However there are challenges ahead. China’s capital outflow control was designed to prevent the erosion of the country’s vast foreign exchange reserves, but its stringent requirements have made it difficult for some investors, mainly smaller ones, to obtain foreign exchange clearance. Some sizeable investors have invested through overseas subsidiaries, but these subsidiaries may run out of funds if the grip on foreign exchange reserves is not loosened. Paul Hart, Executive Director, Greater China at Knight Frank said, “Meanwhile, Chinese investment in the UK showed an impressive YoY increase of 75% in H1. The interest in the British capital has not diminished even after the Brexit vote as the market saw a number of major transactions taking place since then. Closer to home, Hong Kong saw US$1.68 billion worth of Chinese investment in H1, a minor volume drop YoY. In the US, New York attracted 80% of Chinese investment in the US. A large share of this (62%) was in office deals, as Chinese institutional capital continued to chase trophy assets. Major hubs on the west coast, such as San Jose and Seattle, also drew interest from Chinese investors. As the Fed-led low interest-rate environment persists, Chinese investors will continue to favour tangible assets such as real estate. In the UK, the economy’s perceived stability and London’s status as an international financial centre contributed to the UK’s 75% YoY increase in Chinese investment before Brexit. Private banks and conglomerates became a key part of the investment landscape, which was previously dominated by large insurance companies. Chinese investors’ interest in the city seemed unabated after Brexit, with a number of major office transactions completing since July. Hong Kong has attracted Chinese investors thanks to increased financial cooperation and its position as the international financial centre closest to China mainland. Currency and stock connect schemes between Hong Kong and the Mainland attracted new investor and tenant demand. Owning office space is an attractive option due to Hong Kong having the world’s highest office rents. Meanwhile, the city’s residential land market also offers better value than some hotly-contested Chinese markets. Feeling the pressure from the RMB’s steady devaluation against the US dollar, Chinese investors, particularly private conglomerates, have tended to invest aggressively in hard assets. The demand for real estate has coincided with strong appetite in other investments.